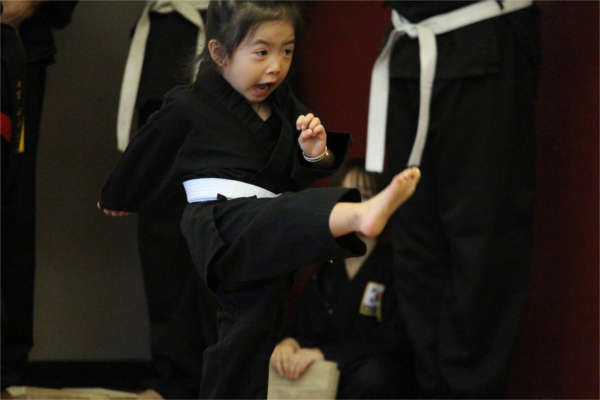 Our unique Tiny Tigers program is designed to teach students much more than simply how to kick and punch. KSMY Martial Arts School is concerned with the well-being, health, and education of our children. The Tiny Tigers activities will keep children physically fit and show them the benefits of good behavior. This program offers children a strong foundation in essential character qualities such as courtesy, respect, and discipline. The class curriculum will help children see the value of teamwork, good manners, and trying their best inside and outside of the school. This program is designed to improve balance, various motor skills, and positive mental skills. These skills will help children enter society with a confident and enthusiastic outlook. One of the first improvements you will notice in your child is an increased level of self-confidence and self-esteem. Each child will become a better student in school, a better listener at home, and feel more confident in their overall outlook on life. 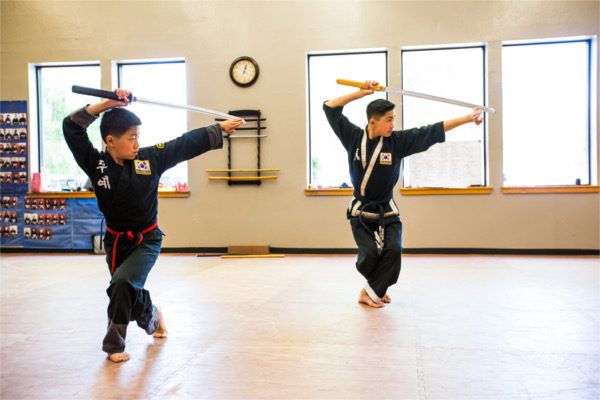 In fact, parents frequently speak of the beneficial effects that our martial arts training has had in school performance, self-esteem, and general attitude. In recognition of their age, Tiny Tigers follow a modified rank and testing system. For instance, rather than moving through the colored-belt ranking system, Tiny Tigers acquire different colored patches known as “Starbursts.” After advancing to a new skill level, the corresponding Starburt is added to the child’s belt for display and recognition. Upon graduating from the Tiny Tigers Program, students are eligible to attend the Juniors Program. Our Juniors Program is designed to help students develop and refine both mental and physical skills as they progress through elementary and junior high school. 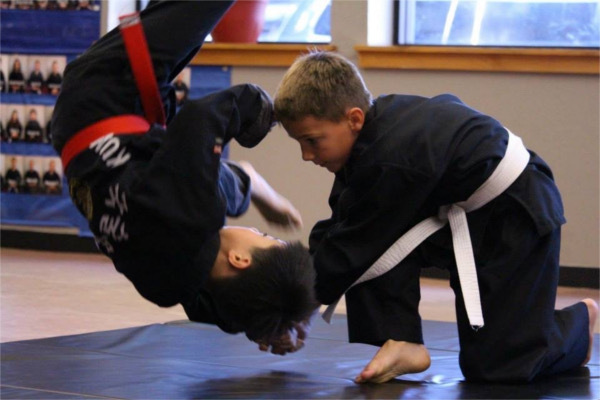 The skills taught at KSMY Martial Arts provide countless benefits for students, including improved grades in the classroom and finding ways to avoid or address bullying behavior on the playground. Structured instruction and adherence to rules are key to this program. 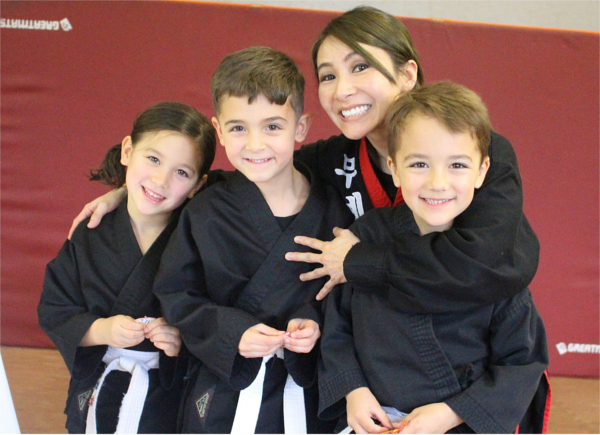 With an emphasis on respect and good manners, KSMY Martial Arts, in addition, helps students with important skills including attentiveness, concentration, perseverance, self-control and self-discipline. Students also participate in partner and team drills that promote social skills and values including teamwork and benevolence. Such activities also teach students how to properly deal with winning and losing while increasing their self-confidence. The Juniors Program also improves students’ physical skills. At this age and developmental level, students can improve their fine motor skills, including balance, control, and coordination. As students develop a stronger sense of motor skills, focus, and memory, they are introduced to two key components of marital arts – forms and techniques. The Juniors Program is both challenging and fun. While the content taught is the same as the Youth and Adult Program, students are given additional time to perfect their Kuk Sool skills. 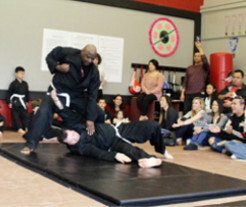 Self-Defense – KSMY Martial Arts teaches you to think rather than panic in potentially dangerous situations. It will give you the confidence to walk away from conflict or to never let the situation develop in the first place. Self-Discipline – At KSMY Martial Arts, we help you to set goals and to stay with them. You will learn to draw upon your own inner strength to succeed. Self-Confidence – KSMY Martial Arts helps develop self-confidence by helping you to reach your goals as you develop your martial arts skills. Coordination – KSMY Martial Arts training will develop your sense of balance, agility, poise, dexterity, and all round coordination. 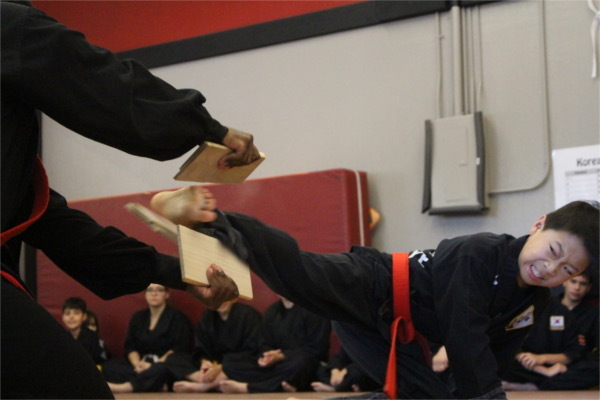 Health and Fitness – KSMY Martial Arts is great for stress and tension. Our training program helps to increase stamina, expand cardiovascular fitness and improve overall physical and mental condition. Respect – KSMY Martial Arts places emphasis on respect and good manners, both of which are considered the cornerstone of our martial art. We encourage our students to treat others how they wish to be treated themselves. Mental Alertness – KSMY Martial Arts will help to develop and sharpen your mind, making you more alert to potentially dangerous situations. For students, martial arts training makes them even more attentive in school, which helps to improve their grades. Our school teaches a traditional style that is not matched anywhere else. Stop by for your free session today and learn what KSMY Martial Arts has to offer! Sparring is a highly important aspect of your martial arts training at KSMY Martial Arts. Sparring requires that you use attributes. This forces a practitioner to sharpen his/her skills by working on gauging/controlling distance, timing, speed, agility, focus, as well as cardiovascular and muscular endurance, just to name a few. Distance – How to control the distance between you and your partner. Rhythm – How to break your opponents rhythm. Timing – How to judge the timing of your opponent and know when to strike or dodge a strike. Combinations – How to land combinations whilst your partner moves forwards, backwards, and/or tries to counter. Footwork – How to move in, out, and to the sides to strike or evade a punch. Speed – You will learn how to use your speed to hit your opponent before they can block, as well as move quickly out the way of a strike. Balance – You will learn to control your balance and center of gravity whilst in a fighting motion. Reaction – You will improve your reaction time. Focus – You will be forced to keep focus and concentrate on the fight without distractions. Cardiovascular – Your fitness levels will have to adapt and will improve. Muscular endurance – Your endurance and stamina will have to adapt and will improve. Conditioning – You will learn to get hit and be comfortable to carry on. 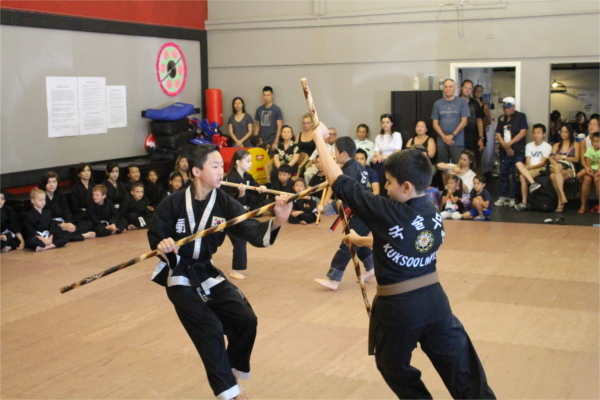 KSMY Martial Arts teaches Korean traditional weapons such as short staff, middle-sized staff, short swords, swords, inverted swords, fans, rope, and cane techniques and/or forms. This class is offered to only blue belts and above or students who are a part of our Demo Team. A weapon is a force multiplier and extension of the wielder’s body. A weapon is transformed into a substantial advantage when in the hands of a well trained practitioner. Weapons training requires balance, coordination, timing, and discipline. Don’t be surprised when your hand-to-hand combat skills improve when you start weapons training. The weapons curriculum at KSMY Martial Arts is going to make you a well-rounded classically trained martial artist. 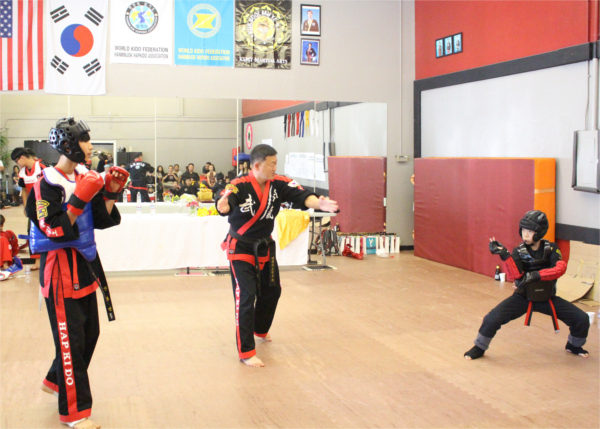 The Tumbling class focuses on Kuk Sool falling/tumbling movements. 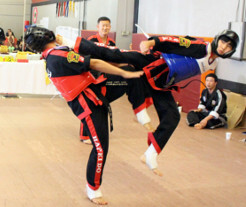 Due to the nature of Kuk Sool and the emphasis on throwing techniques throughout the student’s training, it is vitally important that the student learns to fall properly — both to avoid injury and to escape from various types of throwing techniques. A well-rounded martial artist will learn falling, martial art tumbling or “Nak Beop,” methods to compliment his or her self-defense training. Increase your ability to recover if you are knocked down or fall. When an opponent throws you to the ground (or when you fall), you should be able to land safely. When falling, the hands and legs should be used to prevent injury to muscles and joints, as well as protect the head, chest, and internal organs. One should strike the mat with his/her hands and legs to absorb the shock of the fall. Reduce the likelihood of injury – Falling properly prevents bones and joints from being injured or broken by evenly distributing body weight and force upon a greater area of the body. Provide internal conditioning – Internal body organs are held in place by connective tissue. The person whose training includes regular martial arts falling and tumbling techniques will experience conditioning and strengthening of these tissues. Just as muscles and bones grow stronger from exercise, so do ligaments, tendons and other connective tissue. The result is that the body can better withstand a blunt force trauma, such as a kick, a punch or a fall. The internal organs will not move about loosely, but rather remain more of a tight compact unit and less likely to be injured. We do not believe in CONTRACTS! To learn more about our business philosophy, please click here. We are right across the street from the Sacramento Executive Airport, in the same parking lot as New Lai Wah Restaurant. What is the youngest student that you allow to train? We generally start students at four years old. These students are enrolled in our Tiny Tigers Program. Our younger students will begin with an evaluation lesson to determine if martial arts training is right for them. Call today to schedule a free introductory lesson. I’m an adult. Do you offer classes for older students? Absolutely! We have a growing adults team of all ages and abilities. It’s never too late to get started with martial arts. We have adult classes tailored to help you achieve your fitness and self defense goals. families can train together. Please feel free to contact our school to find out more information about our joint classes. Do you require students to sign a short-term or long-term contract? We do not believe in ANY contracts. Please feel free to read more about our business philosophy under our “About Us” section. First and foremost, we suggest you drop by to visit and observe a class. This will provide you a glimpse into the style and teachings of KSMY Martial Arts. We are confident that once you come by, you will be interested in learning more of what KSMY Martial Arts has to offer. You can try out a free, no obligation, introductory trial session. It makes sense that a “hands-on” approach is the best way to communicate the benefits and differences between our instruction and other martial arts schools in the area. The enrollment process can begin as you soon as you decide you are ready to kick start your martial arts training! Please contact us immediately to book a free trial session! We look forward to welcoming you to our KSMY Martial Arts School in the near future! Copyright © KUK SOOL MU YE. All rights reserved.